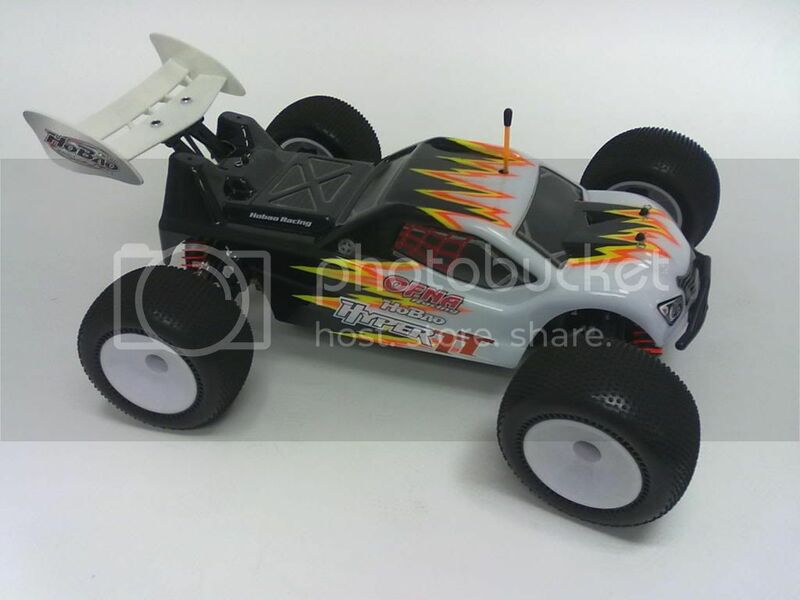 Hyper TT the new competition 1/10th racer now as a truggy with 4wd. We have been at West Coast and OCRC racing and it has been fun. 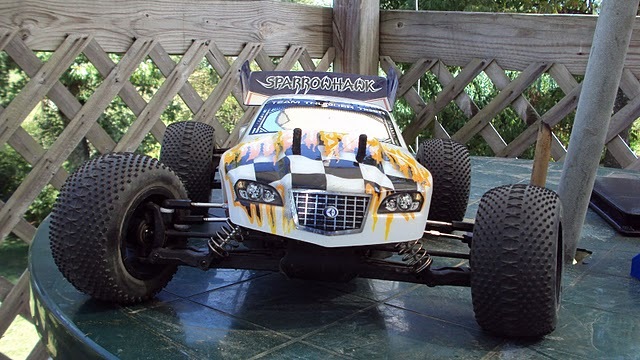 My car has the Novak Havoc Pro Sc with a 8.5ss motor and has decent power, but the car wants more so I'll drop a 6.5 in it. This is fun to drive and handles well so far only one change I have done to the car and still using the stock tires but JConcept Bar Codes are ready to go. We've 7 cars go out and run the two races we had and I finished 2nd in the first one and 4th last night so competition is tight. I can say we have really good indoor car to drive so the thread starts today on talk about the truggy. will the front shocks fit the hyper..
they seem to be a Big bore type shock compared to the ones on the 10sc? $199.99 for the Pro version. The front shock tower is shorter, so are the front shock bodies. Any vid on this thing ? Does it use the same arms, steering and knuckles as the Hyper 10SC? If so...I am concerned about the durability of this truggy. This truggy is a blast. Last time I had this much fun is when I met my wife. Yes all the parts are the same although it has the updated arms. For those who think the Hyper10SC or this HyperTT is not durable I would have to question your driving ability. The truck looks cool, I bet its a very fun class! If these take off I might have to get me one! The key being is anyone else going to come out with something like this? Jammin perhaps? Actually there has been one for awhile now. No center diff though. I wish/hope this class would take off. Is that all you would need??? Thats a good idea, I might try the samething with mine! !